Fifth plays fourth in this game in Group B and it doesn’t take an expert to work out that this game could have a huge impact on the qualification places for the Top 16. The 2-4 record of the home side needs to be improved on in this game to give them a serious chance of overthrowing Cedevita or other teams in the group. Limoges have been suffering with respect to the statistics this season. They have suffered the most turnovers, 19.3 per game, they are lowly ranked with respect to turnovers and they miss more three throws than other teams. With that in mind, it could be a long night for the home fans but there are positive signs to look out for. With respect to rebounds, Limoges have done rather well, sitting fourth for three point shot percentages and in the previous game between these two teams, Limoges grabbed an away win by a score of 80-84. If they can complete the double in this game, things will be a lot brighter for Limoges. 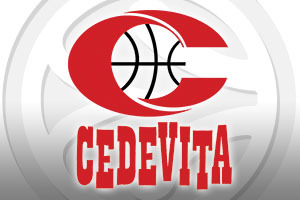 There have been some players who have delivered massive performances for Cedevita this campaign and if they hit top form, you can expect the away side to be in with a good chance of winning this one. Jacob Pullen is the fourth ranked scorer in the league and he has made the difference for Cedevita on a number of occasions. There is also the fact that Miro Bilan has bene in sparkling form and he currently sits as the sixth ranked player with respect to the Performance Index Rating. All of which suggests that Zagreb are a team with big players that can decide games, so you should look out for them on Thursday night. The bookmakers think this one will be tight but they slightly favour the home team. 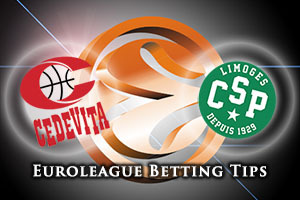 This is why opting for Cedevita Zagreb with a +3 handicap and odds of 1.90 are likely to be a good bet. For the Over/Under market, look to go UNDER 150.5 at odds of 1.90. Bet Now!